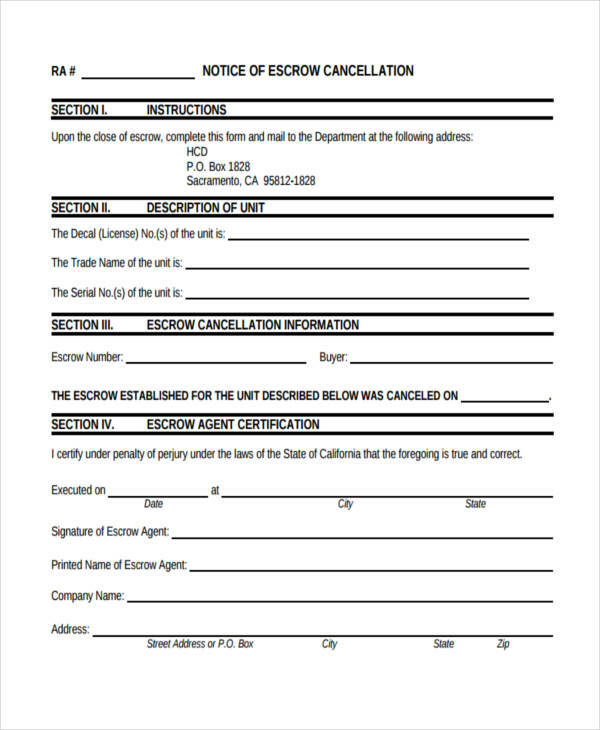 Cancellation notices are necessary when canceling a membership or subscription, or when deciding to opt out of previously agreed-to events and business agreements. 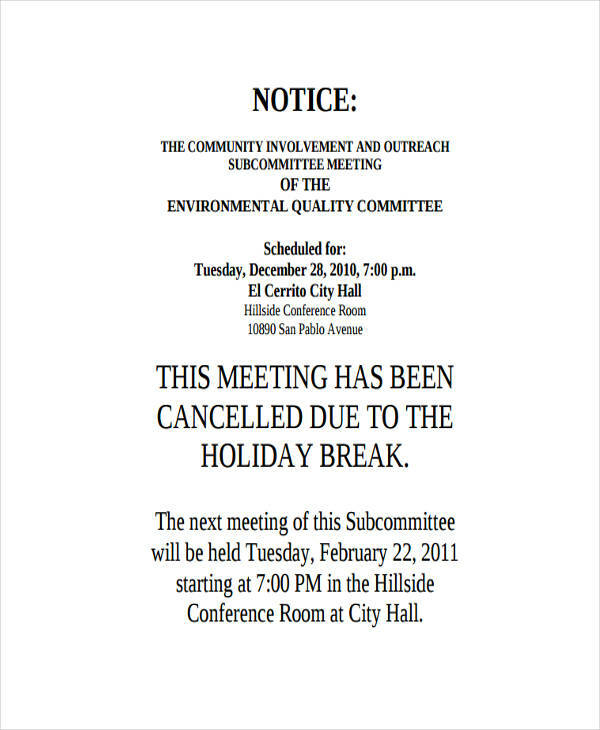 These notices announce the cancellation and state the reasons for this action. 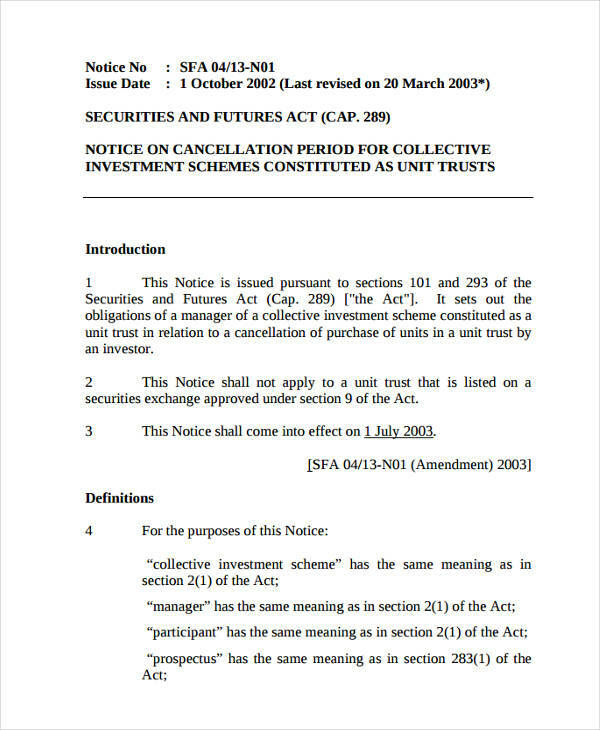 Without notice of cancellation in some cases, there may be breaches of contract and legal complications. Cancellation notice also serves as a warning in the case of an impending tenant eviction notice on the basis of non-payment of rent. In whatever situation you are in, cancelling or being cancelled, these examples can give you a head-start and a better understanding of the process. Cancellation notices are used when you want to cancel your membership or subscription. It is also used when you want to cancel any major events such as a wedding, big party, and gatherings. 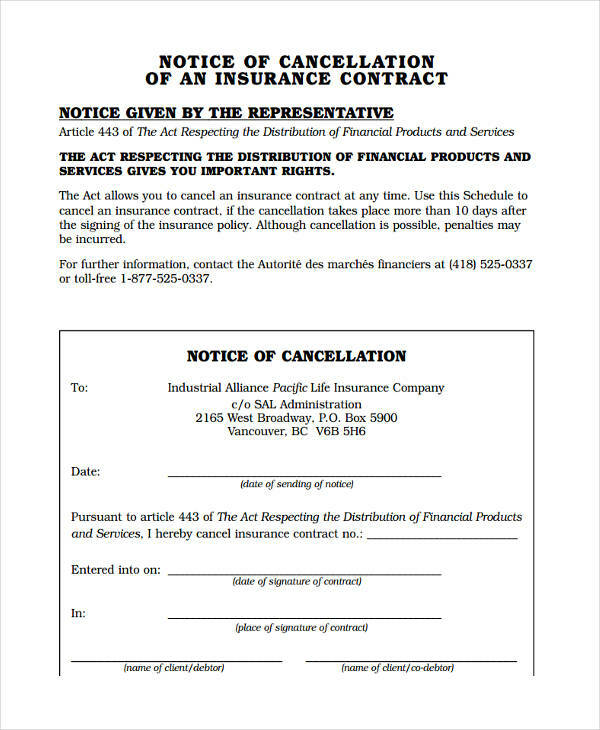 In business industry, cancellation notice in pdf is used when a company will cancel a business agreement with another company. Use a business proposal letter format. 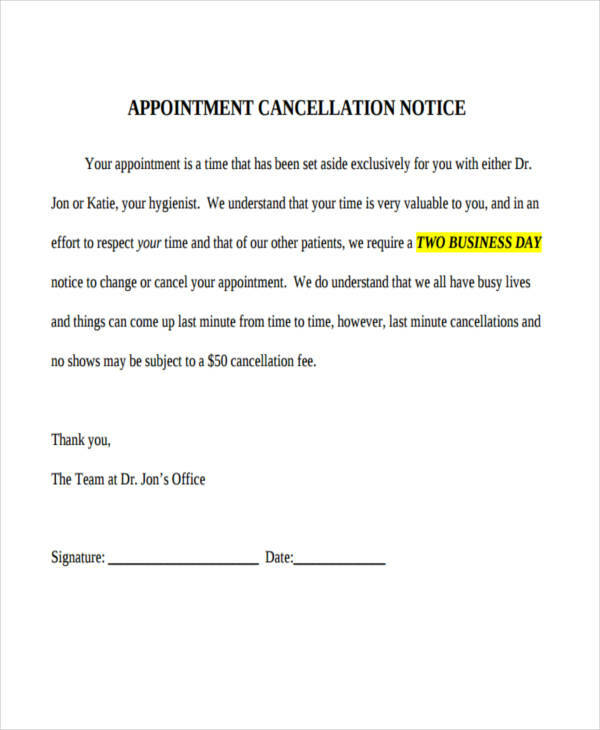 This will make your cancellation notice letter professional. Address the recipient of your cancellation notice. Basic courtesy; remember you might be doing them an inconvenience by canceling. State the reason(s) of your cancellation. 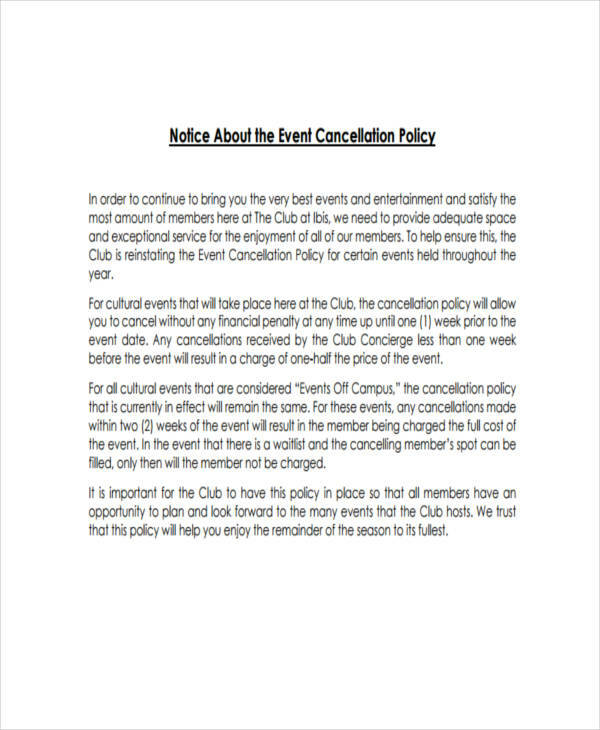 Clarify why you need to cancel the event or membership. 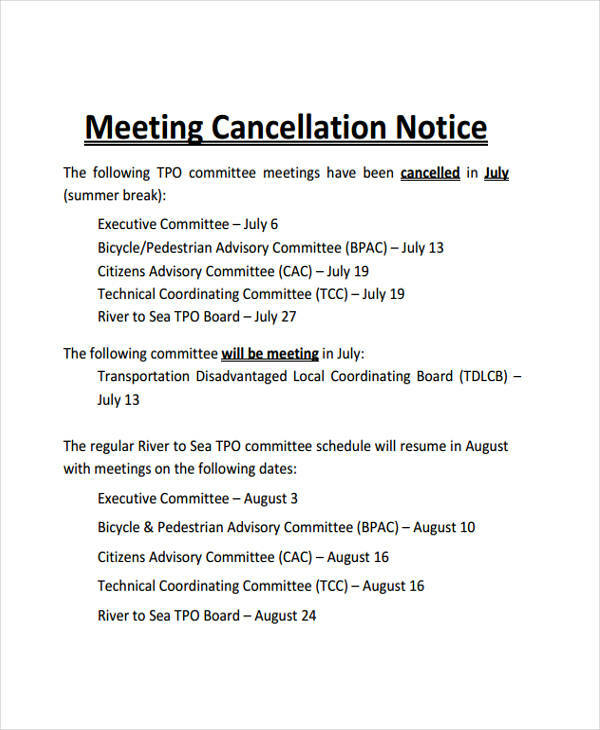 Request confirmation of the cancellation notice. Follow-up is important. End it with a friendly closing remark. To keep things cordial. There you go, that is how you write a cancellation notice. 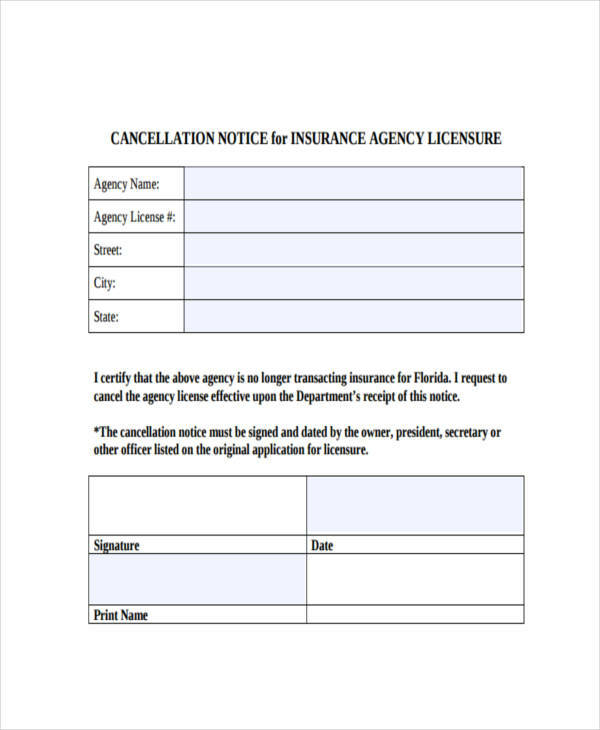 To make it easier for you, this article offers effective cancellation notice examples in Word and PDF format for easy modification and printing. Limits the confusion as to why you are canceling by clarifying the intent. Effects the desired cancellation by being explicit. Gives the recipient some courtesy by serving as a timely warning notice. Lessens the burden of having to cancel something verbally. 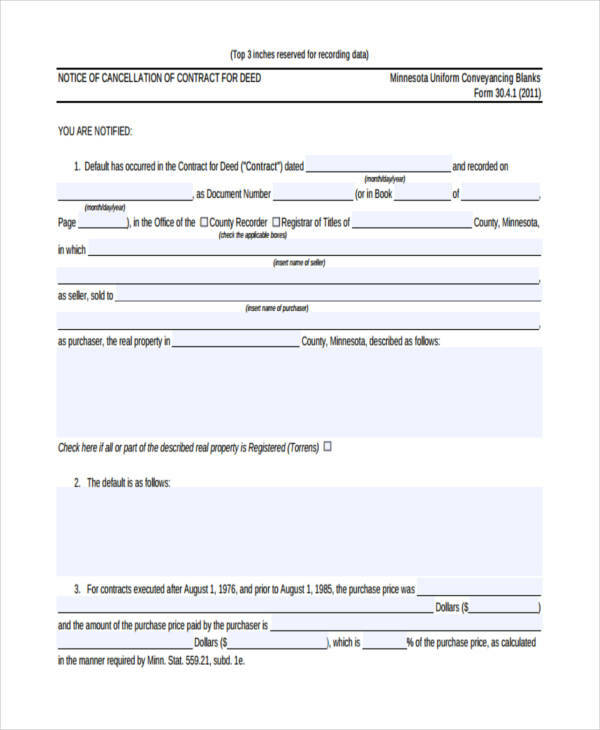 Write a cancellation notice in a business proposal letter format to make it professional. State concisely all the relevant reasons on why you need to cancel a prior commitment. Don’t be too aggressive. Be polite and apologetic if you need to be, while remaining firm. Express your deepest apology for the inconvenience you may be causing, especially if this is on short notice.